At the Bluegrass Underground, the acclaimed musical adventure series continues with Old Crow Medicine Show, Yonder Mountain String Band, Leon Russell, Andrew Bird and more! 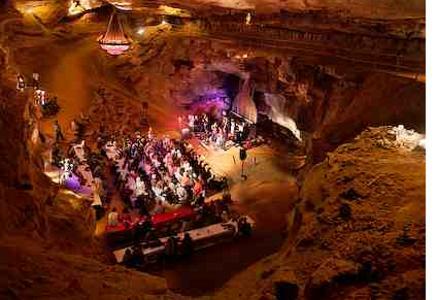 From March 8 through 10 at the Volcano Room at Cumberland Caverns in McMinnville, Tennessee, Season 3 tapings will continue for rebroadcast on PBS. Cloud 9 Adventures has announced Strings & Sol, the newest music destination event in the Cloud 9 family. Strings & Sol – set on the sandy white beaches of Tulum, Mexico December 12 – 16, 2012 – brings together some of today’s best progressive bluegrass music bands for a rollicking string-music vacation like no other. 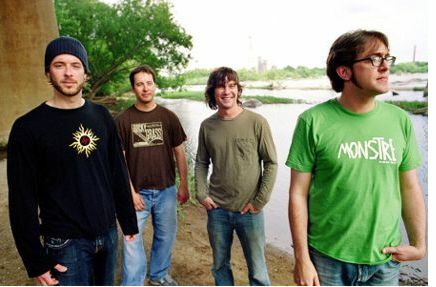 Live performances during the event’s 4 days and nights include three full shows by Yonder Mountain String Band, and two shows each by Railroad Earth, Leftover Salmon and The Infamous Stringdusters. 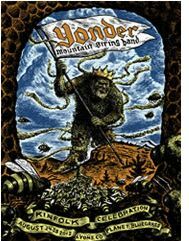 Lyons, CO -- Ten years ago Yonder Mountain String Band launched their inaugural Kinfolk Celebration at the Planet Bluegrass Ranch. This year their annual celebration of community, camping, and musical mania returns for the first time in 9 years to Lyons, Colorado – a place Yonder guitarist Adam Aijala affectionately calls "one of our favorite music venues, period." The limited and exclusive Reserved Campsites with water and electric hookups for RVs go on sale Thursday, June 28th at 12:00 pm noon, central time. These highly coveted campsites have sold out within minutes the last two years. Mark your calendars and don't be late. 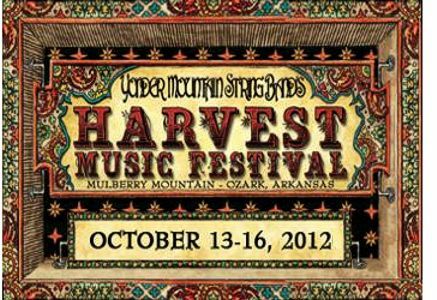 Located at Mulberry Mountain in Ozark, Arkansas the Yonder Mountain String Band's 2012 Harvest Music Festival will take place October 13-16 providing 4 days of exciting music. The music is bluegrass by its roots but the tree evolves into rich braches including acoustic, Americana, progressive, newgrass and more. Cloud 9 Adventures today announces Strings & Sol, the newest music destination event in the Cloud 9 family, which also includes Mayan Holidaze, Jam Cruise, Holy Ship! and Panic en la Playa. Strings & Sol – set on the sandy white beaches of Tulum, Mexico December 12 – 16, 2012 – brings together some of today’s best progressive bluegrass bands for a rollicking string-music vacation like no other. 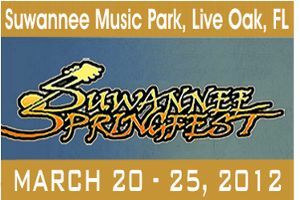 Live performances during the event’s 4 days and nights include three full shows by Yonder Mountain String Band, and two shows each by Railroad Earth, Leftover Salmon and The Infamous Stringdusters. 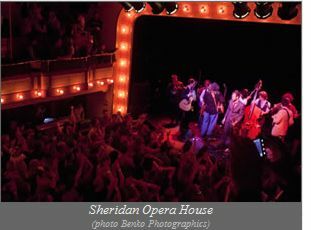 Lyons, CO -- Ten years ago Yonder Mountain String Band, already stars of the RockyGrass and Telluride stages, organized a celebration for their fans (dubbed "kinfolk") at the Planet Bluegrass Ranch in Lyons. The modest single-day event grew to two inspiring days by the following year, with camping and numerous musical kin sharing the Lyons stage. Located at Mulberry Mountain in Ozark, Arkansas the Yonder Mountain String Band's 2012 Harvest Music Festival will take place October 13-16 providing 4 days of exciting music. The music is bluegrass by its roots but the tree evolves into rich braches including acoustic, Americana, progressive, newgrass and more. Tickets are already selling quickly so if you're going and haven't already received your tickets, you better get going!